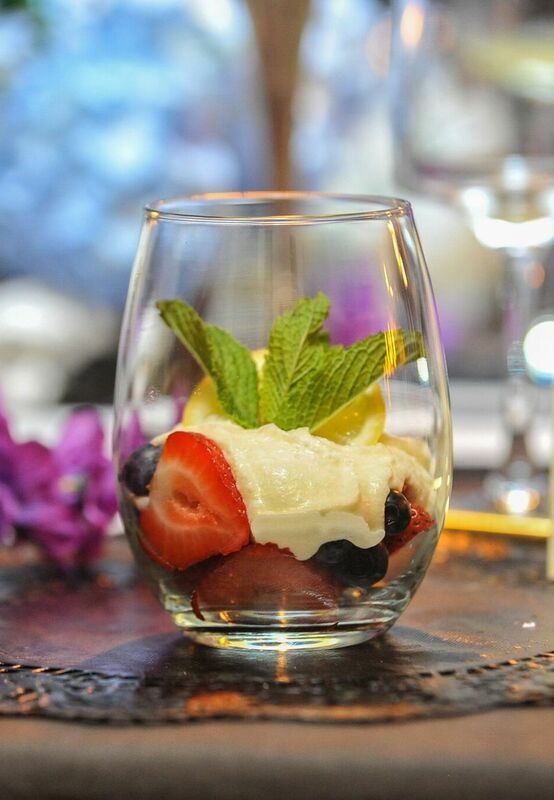 SUMMER DESSERT: Lemon Meringue Mousse with fresh berries! On my birthday, June 7th I hosted a PREVIEW DINNER SERIES event. 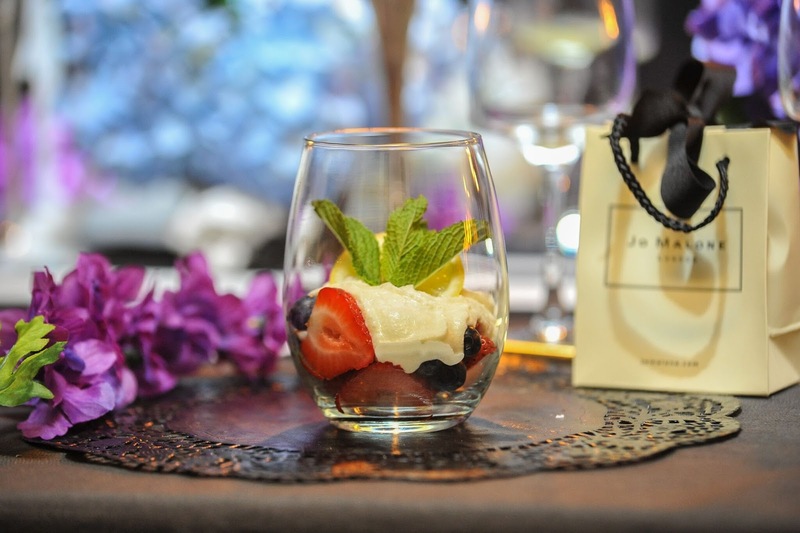 One of the menu items I requested was a light and airy dessert so the chef whipped up a "Lemon Meringue Mousse with Fresh Berries"
So here is a quick recipe for you all. Beat heavy cream, 5 tablespoons of the sugar, lemon juice and extracts in large chilled bowl with electric mixer on medium speed until soft peaks form. Toss berries and remaining 3 tablespoons sugar in medium bowl. Layer mousse and berries in dessert dishes. Serve immediately or refrigerate until ready to serve. Within 15 minutes you should have a mouth watering summer dessert!